This Wednesday, May 21, 2014, during National Bike Month, the Ride of Silence will begin in North America and roll across the globe – including Irvine. 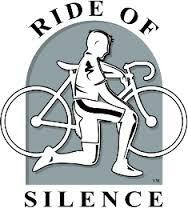 Founded in 2003 to honor cyclists who have been killed or injured while cycling on public roadways, promote sharing the road, and provide awareness of bicycling safety, the Ride of Silence is a slow paced, single file bicycle ride in a silent procession. As I’ve written before, Irvine is indeed a wonderful city for biking, whether for commuting, exercising, or just enjoying the outdoors. We currently have 301 miles of on-street bike lanes and 54 miles of off-street bikeways. Our bicycle trails are some of the most beautiful, and peaceful, places in Irvine. Yet in Irvine, as everywhere else, motorists must learn to better share the road safely with cyclists; that cyclists have the same rights to the road as motorists; and that cyclists are the most vulnerable users of the roadways. Too often, although cyclists have a legal right to share the road with motorists, the motoring public isn’t aware of these rights, and sometimes not aware of the cyclists themselves. 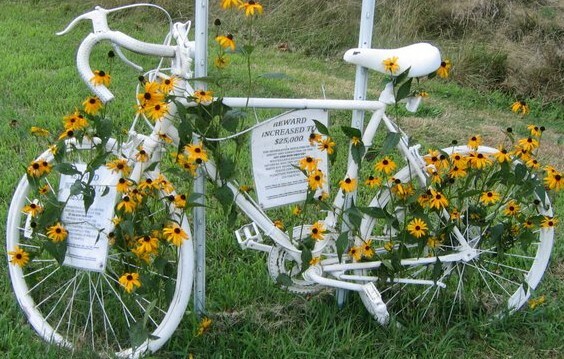 Orange County has had 14 cyclists hit and killed by motorists since the last “Ride of Silence” on May 15th 2013. These individuals who lost their lives were fathers, mothers, sons, daughters, brothers, sisters, husbands, wives, boyfriends, girlfriends, friends, co-workers, as well as cyclists. We have no idea of the impact they may have had in this world because their lives was taken by a motorist. The Ride of Silence asks its cyclists to ride no faster than 12 mph, wear helmets, follow the rules of the road and remain silent during the ride. There are no sponsors and no registration fees. The ride aims to raise the awareness of motorists, police and city officials that cyclists have a legal right to the public roadways. The ride is also a chance to show respect for and honor the lives of those who have been killed or injured. When: Wednesday, May 21. Gather at 6 PM. Assemble at 6:30 PM. Ride at 7 PM. Route: The route is a flat 9.7 mile loop around Irvine; we’ll take on-street bike lanes and off street bikeways. East on Alton then return on the San Diego Creek bikeway so we can be fully regrouped by the time we get back to the start. 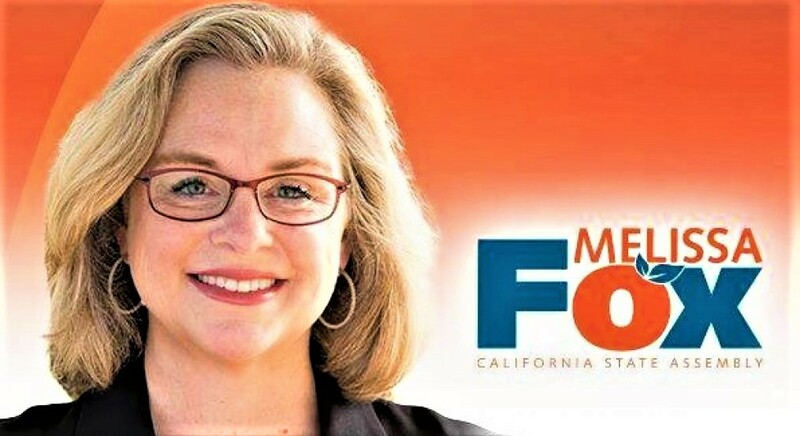 More information, click here for the Orange County Bicycle Coalition or click here for Ride of Silence Orange County. You can also learn more, and show your support, on the Ride of Silence – Irvine Facebook page and the Ride of Silence – National Facebook page. This entry was posted in Uncategorized and tagged #RideofSilence, Active Transportation Survey, Alberto Ramos, Alfanso Franco, Back Bay Loop Trail, Bicycle Friendly Community, bicycling safety, Bicyclists killed in Orange County, bike, bike safety, biking Irvine, City of Irvine, Debra Deem, Geneveve Hall, Haitham Gamal, Hicks Canyon Trail, Irvine, Irvine bicycle, Irvine bicycle maps, Irvine bicycle trails, Irvine Bicycle Transportation Plan, Irvine bike maps, Irvine bike trails, Irvine bikepaths, Irvine biking, Irvine Bommer Canyon, Irvine city planning, Irvine Community Services Commission, Irvine Community Services Commissioner Melissa Fox, Irvine Company, Irvine green space, Irvine hiking trails, Irvine maps, Irvine Master Plan, Irvine open space, Irvine Open Space Preserve, Irvine Orchard Hills, Irvine parks, Irvine Ranch, Irvine Ranch National Landmarks, Irvine recreation, Irvine trails, Irvine Transit Programs, James Waller, Jax Bicycle Center., Joey Robinson, Kathy Sieberhein, League of American Bicyclists, Manuel Morales Rodriguez, Matthew Liechty, Melissa Fox, Melissa Fox blog, Melissa Fox Irvine, melissafoxblog, melissafoxblog.com, melissajoifox, Michelle Lounsbury, OCTA, Orange County Bicycle Coalition, Orange County Transportation Authority, Paul Lin, Pete Tomaino, Peters Canyon Trail, Quail Hill, Quail Hill Trail, Richard Paine, Ride of Silence 2014, Ride of Silence Irvine, Ride of Silence Orange County, Ride of Silence Orange County 2014, Sand Canyon, Sand Canyon Trail, Sean Severson, Shady Canyon Trail, Share the Road, The Ride of Silence, The Ride of Silence 2014, The Ride of Silence Irvine, Thomas Steinhert-Threlkeld, Walnut Trail, Woodbridge Trail. Bookmark the permalink.